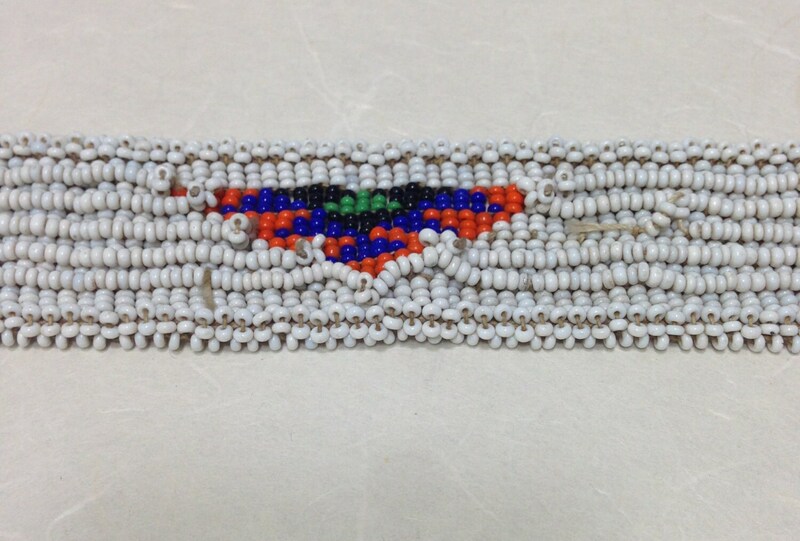 This is an old Xhosa Beaded Headband from the Tribal people of the Eastern Cape region of South Africa. 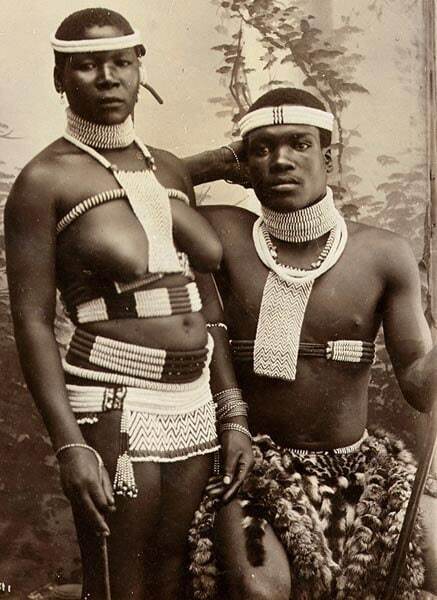 The Xhosa people have a history of bead work as long as that of the better known Zulu and Ndebele Tribes. 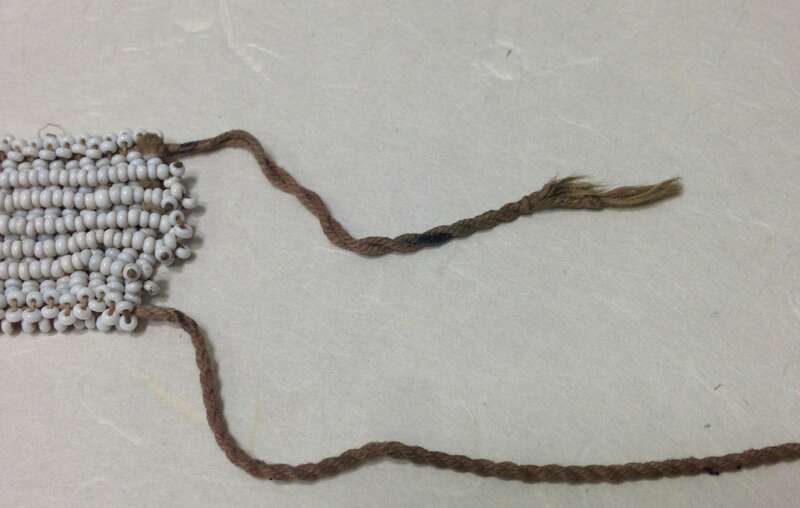 The uses of beaded garments, bags, jewelry, headbands, belts and objects continue until today in the rural areas. 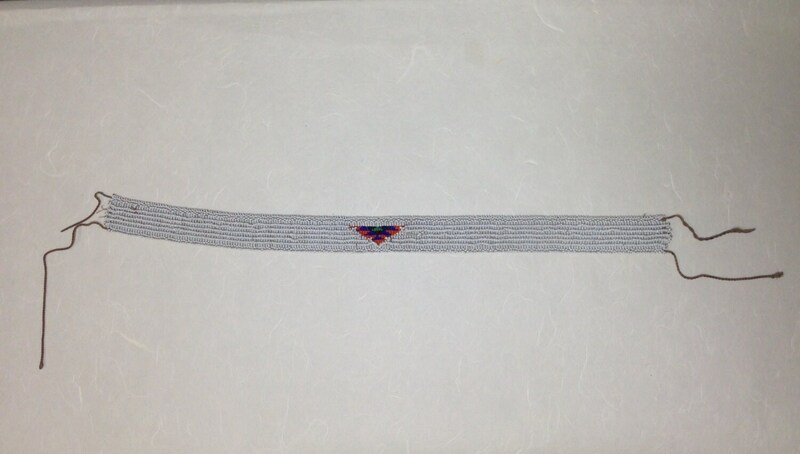 Called Icangci, this Xhosa Headband was traditionally worn by the young initiates during dances and ceremonies as a sign of their status. White is like in many other societies as well a symbol of purity and power. 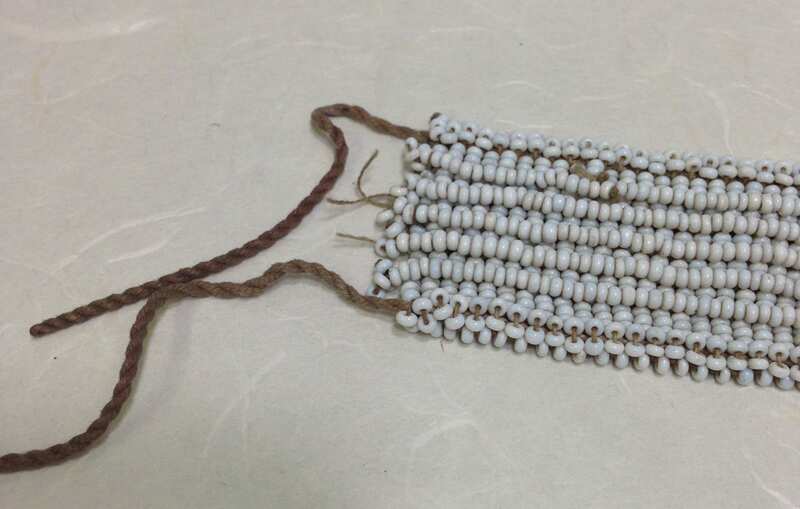 This is an old Xhosa white beaded headband that has cultural meaning and beautiful craftsmanship. It can framed to hand in your home, worn as a necklace or to be given as a gift. It shows use and age.